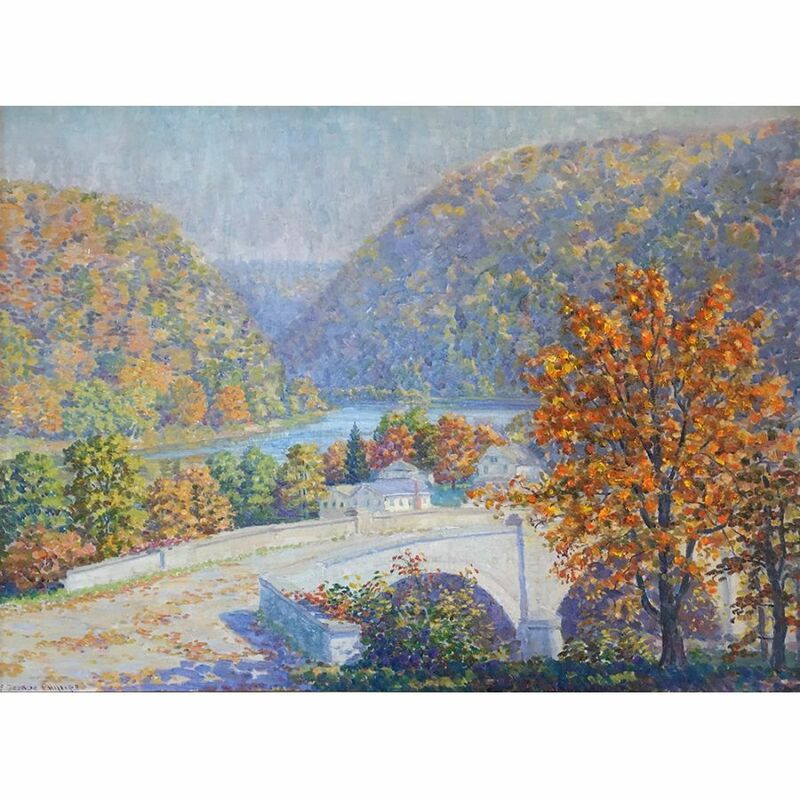 (Philadelphia, Pennsylvania / 1890 - 1965) Born in Pennsylvania in 1890, S. George Phillips studied painting at the Pennsylvania Academy of the Fine Arts. His teachers included Daniel Garber, William Merritt Chase and Hugh Breckenridge. He became an accomplished artist, as well as a successful magazine illustrator, working for the Saturday Evening Post, Ladies Home Journal and McCall's. 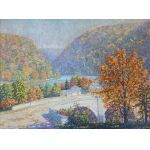 S. George Phillips' landscape paintings, frequently painted in Point Pleasant, Pennsylvania, were strongly influenced by Garber. Phillips also developed a significant reputation for his commissioned portraits of prominent business and political leaders, such as Governor Leader of Pennsylvania, as well as physicians and academicians. Phillips exhibited regularly at the Academy, the Corcoran Gallery of Art in Washington,DC, and the National Academy of Design in Manhattan.